Jackson: “The price point is so big, we all know it would be extremely disruptive." The auto industry fears that President Donald Trump’s threats to place tariffs on vehicles coming into the U.S. could drive the economy into a recession, the head of the largest auto retailer in America said Wednesday. Jackson, who is also chairman of the Federal Reserve Bank of Atlanta, said he hopes trade deals can be reached with Europe, Mexico and Canada that will avoid auto tariffs that Trump said could be as high as 30 per cent on vehicles imported into the U.S. The president has already imposed tariffs on foreign steel and aluminum, as well as a variety of goods from China. “Auto tariffs would make steel and aluminum tariffs look like a company picnic,” Jackson said. “It is the big one. So it’s incomprehensible that there won’t be a solution around this whether it’s with the Europeans or within” the North American Free Trade Agreement. 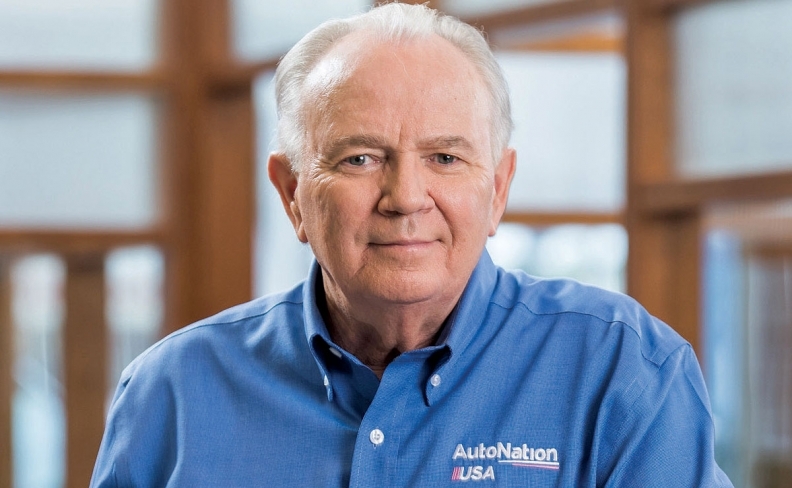 Separately, AutoNation announced on Wednesday that it would begin a search for a new CEO, with Jackson planning to remain on board as executive chairman. Jackson turns 70 in February.